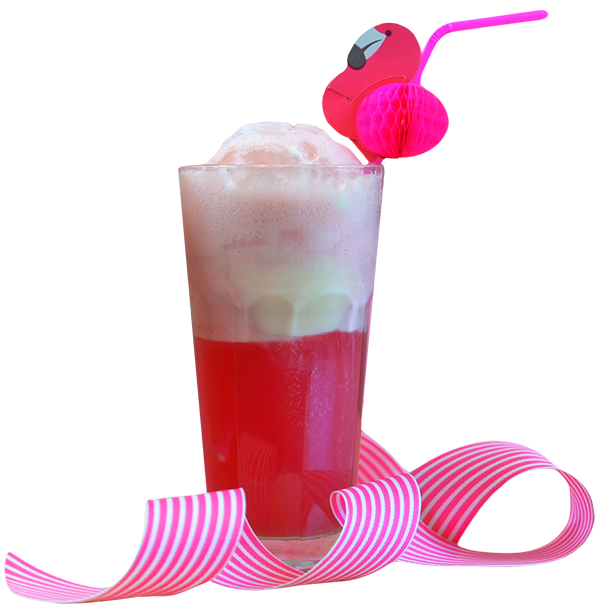 Have a relaxing “float” through summer with this idea for a treat with less sugar and calories. Of course you can always make it more indulgent by using your favorite soda flavor. Dietitian’s Tip: These floats made with sparkling mineral water will contribute less sugar and calories to your diet than traditional floats. Mash frozen or fresh fruit. Add ice cream and fruit to glass. Add sparkling water to glass. Serve with a wide straw and a spoon. We’re hearing rumors that a very special Brown Swiss cow could be added to Albany’s Historic Carousel and Museum sometime soon. Although this contest is over, you can send us additional suggestions to be added to our online gallery of dairy art anytime. Happy hunting!